Getting to know an artist will put the listener more in tune with their sound. 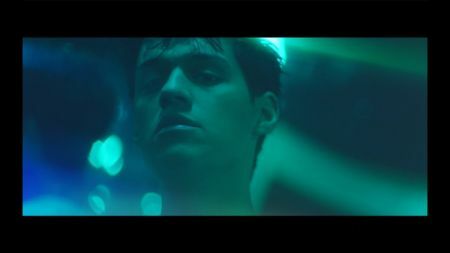 In a recent interview, Omar Apollo, a rising star in the music world, dished about his origins. Talking to Erika Ramirez of Pitchfork, Apollo opened up about his life, how his father crossed the border in 1979 in search of a better life, how he helped them memorize all 50 states for their citizenship test, and how music has changed his life and his family. "It’s a crazy blessing,” Apollo told Ramirez as they dined on carne asada fajitas in a small Mexican restaurant, El Hurarachito, in Los Angeles, where Apollo is now based. It’s a long way from Hobart, Indiana, where he grew up, and the place where he learned how to play the guitar thanks to YouTube tutorials. Reading the interview will be an eye-opener to many, as readers will gain insight into how he obtained his neo-soul sound, how he experienced racism and prejudice in school as being the only “brown kid” in his school, and how he overcame all of that to become one of music’s most talked-about sensations. Click here to read the insightful interview, and don’t miss Apollo as he embarks on The Voyager Tour, and for more info on that tour, make sure to click here.